Steven Pineiro at Orange Cup in Marseille. Photo Lee Leal, Embassy Skateboards. Summer is half way over. We saw a lot of contests in June and July, with stops everywhere in the world thanks to the WCS that brought us to countries as different as France, Germany, Denmark, Italy and back to Ocean City, MD with the Dew Tour. The last two big contests, The X-games and Coastal carnage were awesome, but summer is not over and we still have two months to go. Take a look at what WCS, Street League, Maloof and Dew have in store for us. The second stop of the tour features a new redesigned street course and the second Bowl Competition in the same bowl that made it's debut in MD, a month ago. A special Legends comp in the bowl will take place on Sunday. TV shows air this weekend on NBC. New to the WCS Concrete Bowl Series, the 3rd year of the Ultra Bowl welcomes the world's best skaters as this year's event features skaters using the entire skatepark area. Also going on is the Freestyle World Championships, Girls Street contest and a mini mega ramp style demo. Also new to the WCS points series featuring Street & Vert for men and women with a purse of $101,000. 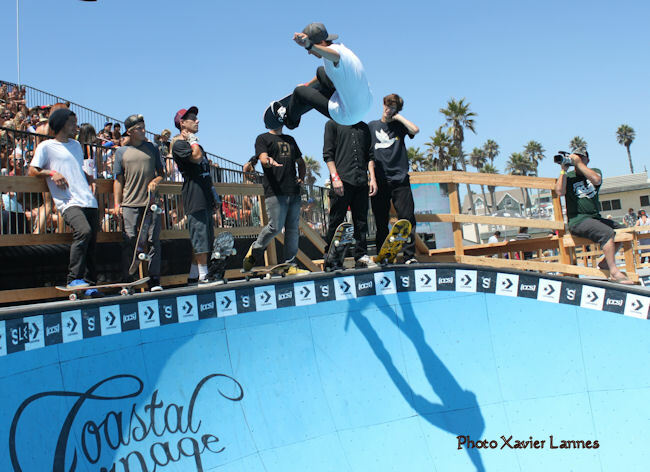 Tom Remillard at Coastal Carnage 2011, showing he is not anymore the Tom Grom of the past. The excitement grows as the return of this event after so many years promises to be a huge showcase of skateboarding to the European landscape. The Maloof Road Tour is heading into the final stretch of its cross-country RV tour, with just three cities left on the 12-city summer tour that began June 11 in Chicago. The Maloof Road tour will stop at Westwind Lake Skate Park, 6805 Southwest 152nd Avenue in Miami Florida on August 13th. 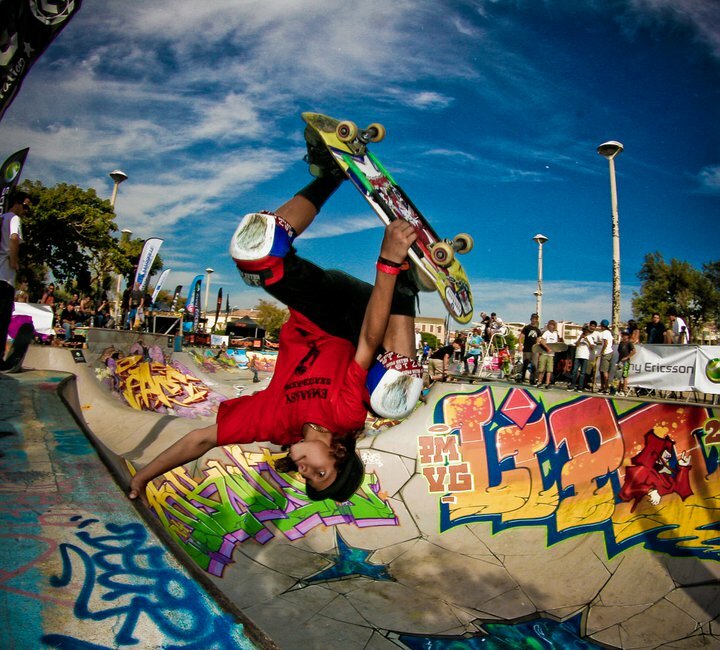 Then on August 14th at South Pointe Skate Park on Mimia Beach, 1 Washington Avenue, Miami Beacc Florida. There will be a Community Beach Cleanup at 12pm for more info call: 305-819-2545. The Maloof Road Tour already kicked off last June, traveling across the country in an awesome MMC RV for 12 weekends. In each city Maloof visit, they will host a skate contest (High Ollie, Game of Skate, Best Line contests and more!) at a local skate shop or skatepark, plus video game challenges, raffles, pro and am autograph... Miami, Atlanta and Philadelphia are Final Stops on Cross Country RV Tour . And then the grand summer finale will be held at Washington DC: Maloof Road Tour Wraps Up Labor Day Weekend in Washington, D.C. The summer tour comes to a stop at the first-ever Maloof Money Cup contest in Washington D.C. over Labor Day Weekend. photographer Julian Bleecker. Photo Copyright Julian Bleecker exclusive for http://helloskatergirl.com//. ASA Entertainment, the country's leading action sports event producer, and Warner Bros. Consumer Products are proud to announce the dates for the 2011 Supergirl Jam event series. For the fifth consecutive year, these unique events will feature more than 100 of the world's top female action sports athletes competing in surfing, skateboarding and snowboarding. This summer 2011, the Supergirl Jam series will feature two events, each highlighting the sports' most talented female pros as well as up-and-coming amateurs. August 21 - Supergirl Am Jam Venice Beach, CA (on the basketball courts next to Muscle Beach) The 5th Annual Supergirl Jam, the action sports industry's only large-scale, all-female competition & lifestyle series, is returning to Venice Beach on Sunday, August 21. The Supergirl Jam is designed to celebrate female strength, independence and empowerment. 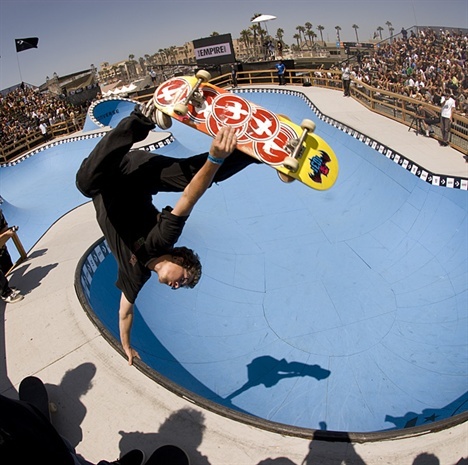 Top female athletes in skateboarding and snowboarding will come together to compete in unique competition set ups on the boardwalk in the heart of Venice Beach. The event kicks off at the corner of Windward Ave and the boardwalk (next to the basketball courts) at 12:00 p.m. A festival village will be open throughout the day. Pictures: Julian Bleecker and Lee Leal. Used by permission.